Icicle Christmas lights are just the latest of a long string of outdoor lighting techniques used to light homes in celebration of Christmas. A popular choice, they simulate dripping from the eaves of homes, and can frequently also be seen cascading from the branches of Christmas trees both indoors and out. 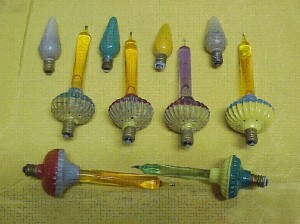 Just how did these and other types of lights become so important to our culture’s obsession with outdoor Christmas lighting? Interestingly enough, festive lighting dates back to ancient times long before the advent of Christianity. Acknowledging the importance of light to the harvest and to life itself, ancient cultures revered the presence of light in a spiritual sense and made use of it in the various festivals they celebrated. Using light on trees seems to be rooted in ancient history as well. The Druids of France and England considered the oak tree to be sacred and at festival times were believed to decorate them with candles. Later, in early Christianity, it is said that Martin Luther attempted to recreate the beauty of stars lighting forest trees by bringing a candled tree into his home for his family to enjoy. This practice is believed to have evolved into the German tradition of Christmas tree lighting. From Germany, the tradition followed Prince Albert to England when he married Queen Victoria. Similarly German settlers were credited with bringing Christmas tree lighting to the United States. The first actual tree was believed to be displayed in Pennsylvania in 1851. Lighting was kept to a minimum due to the fire hazard of placing lit candles on an indoor tree. In fact, most trees were lit only on Christmas Eve and only for a few moments. It took until Thomas Edison’s development of the electric light bulb and the subsequent manufacture of Christmas light bulbs for the trees to be lit for extended periods of time. Although many of us can’t envision Christmas without Christmas tree lighting, the practice of bringing a tree indoors didn’t really catch on until after the first tree made its debut in the White House. Unbelievably, this wasn’t until 1856. Most likely there was an attempt to be European and follow the traditions being popularized by England’s trend-setting Queen Victoria. Other cultures besides our own continue to use festive lighting. Of particular note is the Jewish festival of Hanukkah, the Hindu festival of Diwali and the Thai festival of Loi Krathong. Each of these festivals of light has a long history and like Christmas lighting has its roots in ancient peoples fascination and respect for the light of the sun and stars.